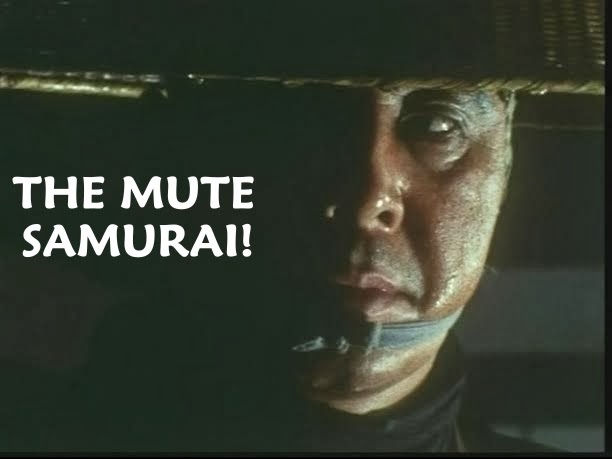 By the time the 1960s rolled around, the look of the posters and the films themselves were gradually changing brought on by tumultuous events happening in the real world. 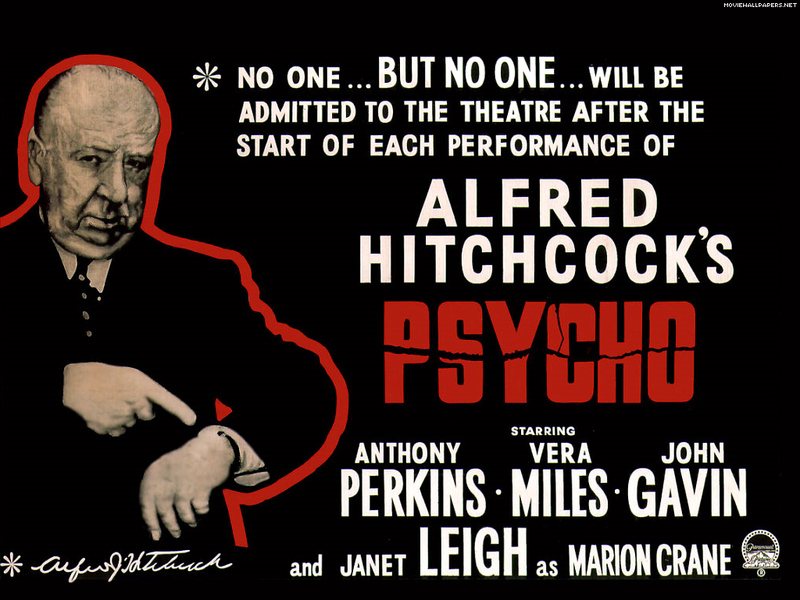 Alfred Hitchcock, a highly respected director of suspense thrillers, began dabbling in more horror-centric pictures. His PSYCHO (1960) became a massive success, but the poster was rather plain (outside of the risque image of Leigh in a bra) when compared to many others that peddled much the same product, but in a more exploitably outrageous fashion. 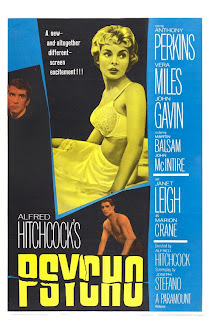 Hitchcock's name value alone ensured instant notoriety as well as the curiosity value for this scary thriller was enough to attract moviegoers. 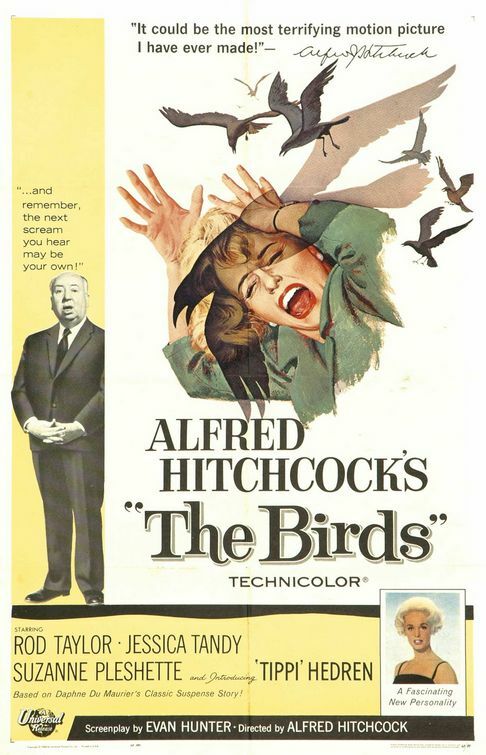 THE BIRDS (1963) was another from Hitchcock that, like PSYCHO to the slashers, was instrumental in spawning the 'Nature On A Rampage' subgenre--which was an offshoot of the 'Big Bug' movies of the 50s. Still, those movies wouldn't take hold till the 1970s when environmental issues became a hotbed topic in society and the media. The design for the BIRDS poster is simplistic, yet effective. 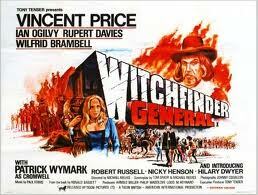 If this had been an independent release, the horror aspects would be far more pronounced. 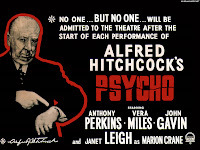 Instead, the only exploitation here is that of Hitchcock himself including two statements from him and his signature! 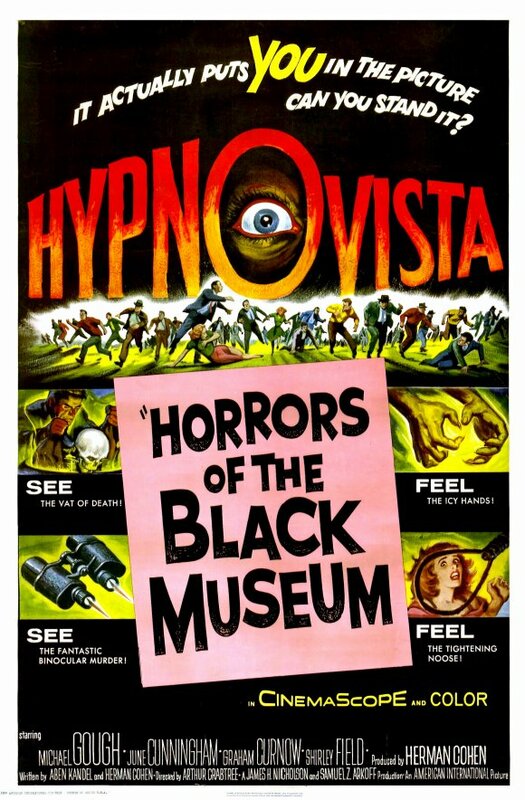 Escapism was important and the drive in mavericks such as American International were only too eager to drum up candy coated entertainment such as the William Castle inspired hoopla surrounding the promotion of this gory Michael Gough terror tale from 1959. The bigger budgeted product from Hollywood generally had a less sensational look to its advertising reaching an almost experimental design for movies towards the end of the decade. That's not to say the majors didn't have both hands in the exploitation cookie jar at any given time, though. USA & JAPAN--TWO SUPERPOWERS CLASH! Take a look at the advertising for the MGM-Toei co-production of THE GREEN SLIME (1968). The poster has all the necessary ingredients required for an attractive publicity campaign. There's the imperiled female--this time in a tight fitting space suit with a large tentacle wrapped around her leg in a precarious position! 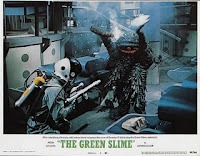 Also, the monsters (there's no actual Green Slime in the movie) are drawn as these gigantic beings when in fact they're smaller than a man, but very destructive. 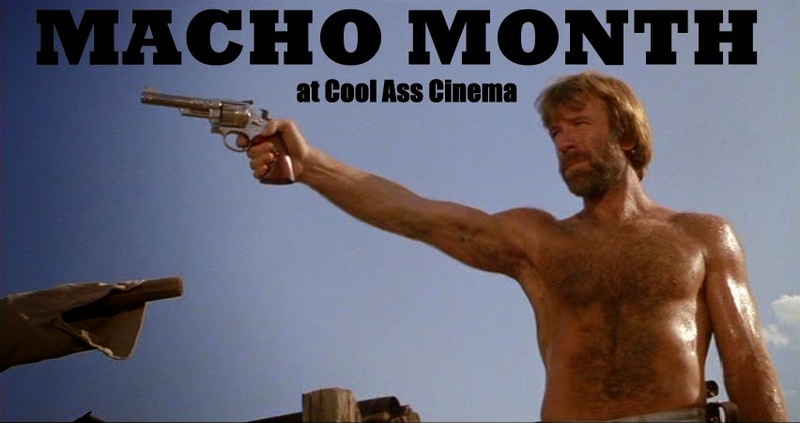 This film, from a major studio, apes the sort of exaggerated ballyhoo typical of the movie mavericks at American International. The film itself does have some moments of horror, but overall the general tone is too childish to be earnest especially considering how science fiction was changing around this time with the release of Kubrick's 2001. THE GREEN SLIME did have a groovy theme song that was released on 45. I used to have one, but couldn't tell you what became of it. 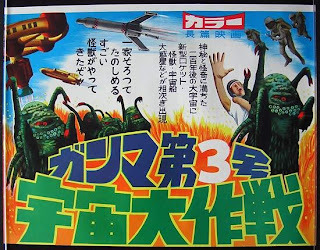 Across the Pacific, the Japanese promotion for the film accentuated the children's demographic in a much more literal way than the American ads did. Compared to the meticulously painted poster of the North American release, this is a chintzy presentation, but is more successful at representing what ended up on screen. The smaller companies like AIP continued to give their small budgeted pictures and their pick ups a big budget sheen in their publicity while maintaining the exploitation necessary to sell the product. 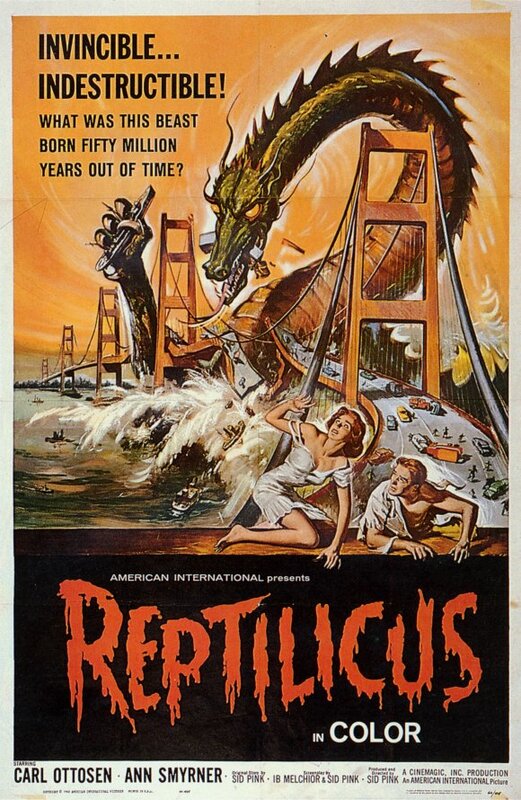 The Danish monster movie REPTILICUS (1962) had two different versions produced and was awful in either one. 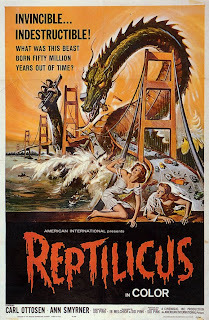 The promotional materials cooked up by AIP's marketing department succeed admirably in creating an incredible poster design for what is ultimately one of the worst monster movies ever made despite frequent scenes of unintended hilarity. American International were also the first to co-produce some Japanese giant monster movies such as the cult favorite FRANKENSTEIN CONQUERS THE WORLD (1965). This striking poster is also deceptive in that Baragon, the other monster in the film, looks nothing like this Godzilla like saurian. The image of a towering Frankenstein monster tearing apart a bridge while holding a trawler in one hand and crushing a jet in the other is boisterously awe inspiring. Unfortunately, that portion of the poster is nowhere to be found in the film, but does more truthfully apply to the AIP-Toho co-pro WAR OF THE GARGANTUAS from 1966. 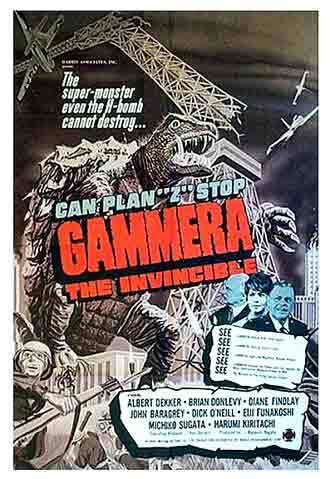 For whatever reason, the company that released the first and only US theatrically released Gamera movie decided to add an extra 'M' to the title monster. 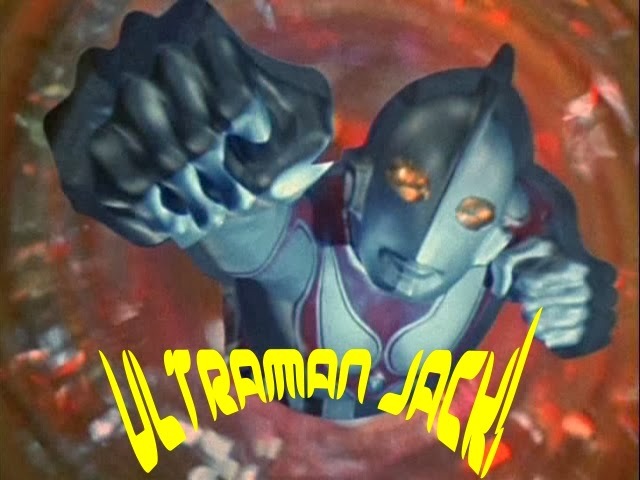 AIP released the bulk of the series straight to television. 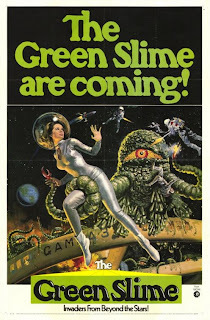 The more kid friendly drive in fare and exploitation productions continued to rule the roost till the close of the decade as genre fare began changing yet again moving away from fantasy horror into a more visceral arena which was likewise reflected in the publicity of those films. But till then, there was more than enough imagination in advertising to attract a potential patron towards the inherent child like wonder of spookshows and creature features. 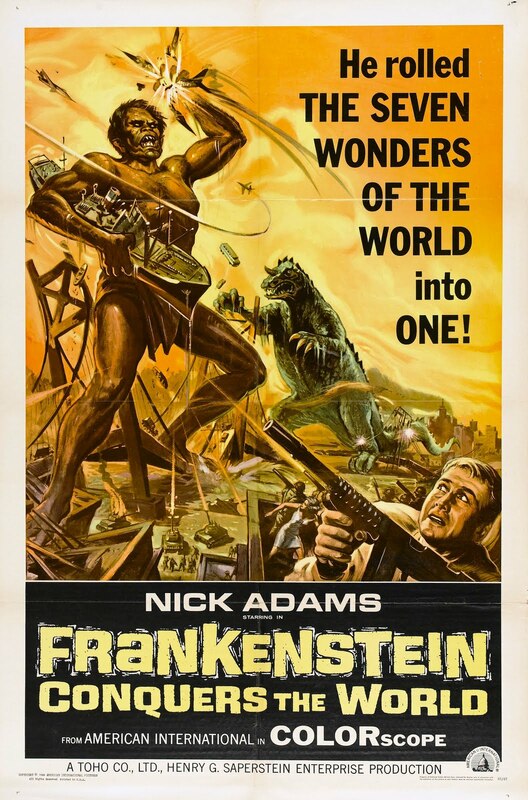 The notion of expressing themes and ideas not in the actual movie, or even embellishing certain plot elements to seem more sensationally frightening than they actually were was a specialty of AIP and a tactic adopted by Corman during the wild and wooly New World Pictures days. 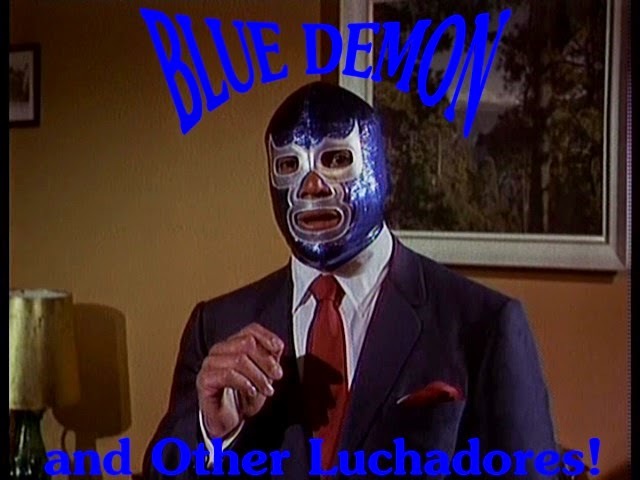 For whatever reason, this was a popular choice of deception with a lot of foreign pick ups. 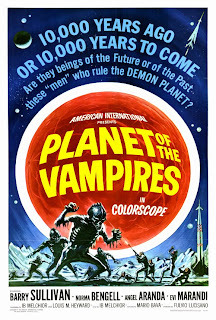 Such is the case with Mario Bava's PLANET OF THE VAMPIRES (1965). 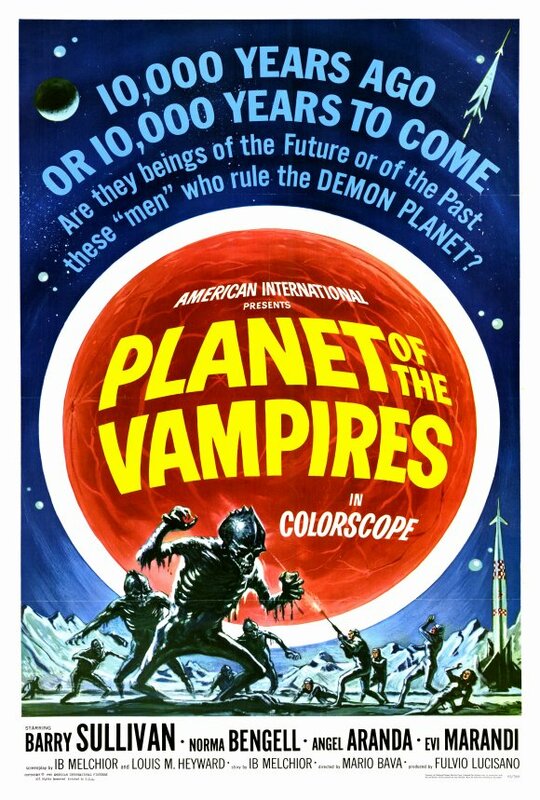 The artist conception would have you believe that the film contained terrifying confrontations between space travelers and fanged skeletal creatures. 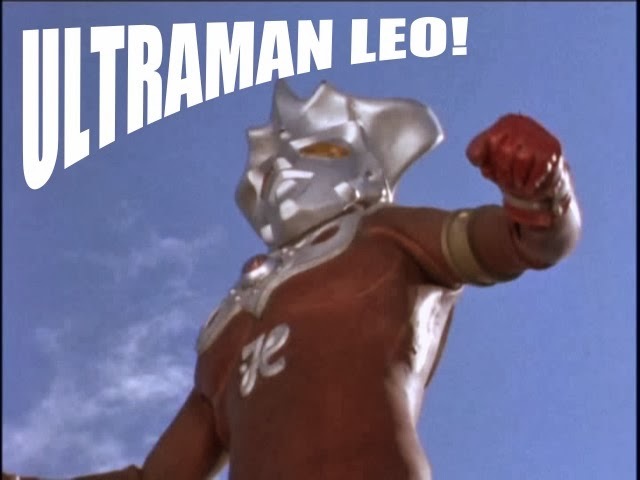 Actually, the film features the skeletal remains of some huge beast, but it never attacks anyone. 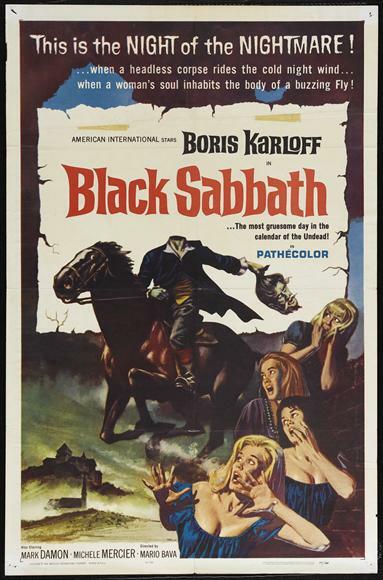 Another Bava film, BLACK SABBATH (1963), had images on its advertising that wasn't in the movie. The promotional materials featured a headless horseman that was nowhere to be found anywhere in the film. It makes for a supremely macabre attention grabber just the same, though. Still, Bava's movie was cascading with goosebumper elements without the advertising adding anything at all. 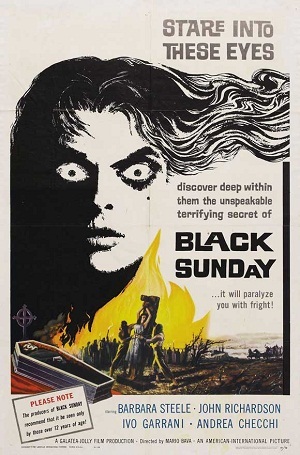 Horror in a period setting came back in a huge way in the 1960s and Bava was instrumental in its resurrection with his exemplary BLACK SUNDAY (1960), a movie whose promo artwork accurately depicted what you were going to see. 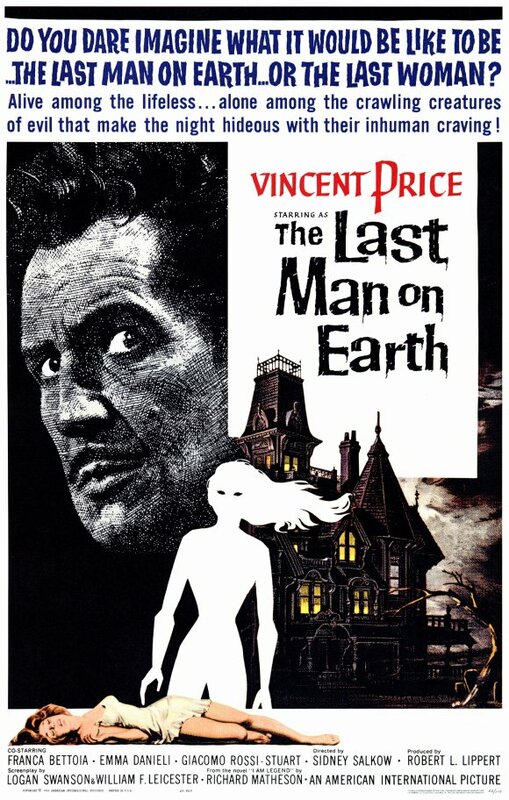 Then there's the Vincent Price spooker, THE LAST MAN ON EARTH (1964), a film based on a Richard Matheson story that's been adapted into a movie a few times over the years. 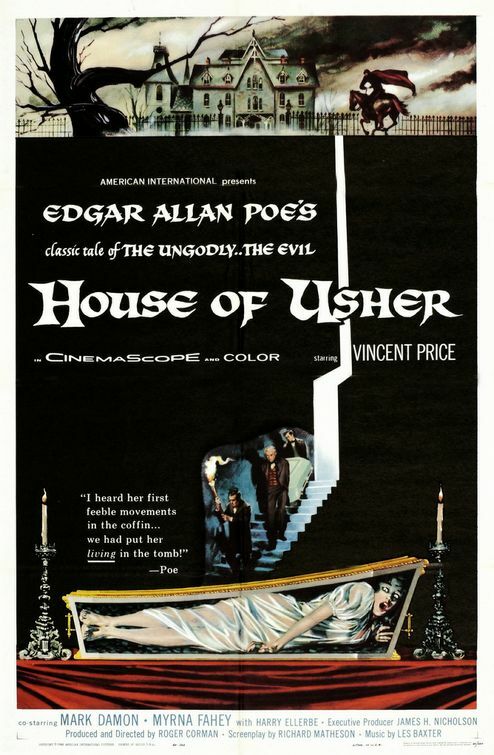 Considering the box office bonanzas and good critical notices of the Poe adaptations with Price, it made sense that the movie moguls at AIP would attempt to capitalize on those Gothic themes with their advertising for this movie. The actors imposing visage aligned with an ominously creepy house that looks all the world like the home of THE MUNSTERS is ingeniously deceptive in its design. The movie is good, just the ad campaign vaguely alludes to something different. Both Corman and AIP hit box office gold with a string of Edgar Allan Poe adaptations nearly all of them starring the company's golden goose, Vincent Price. 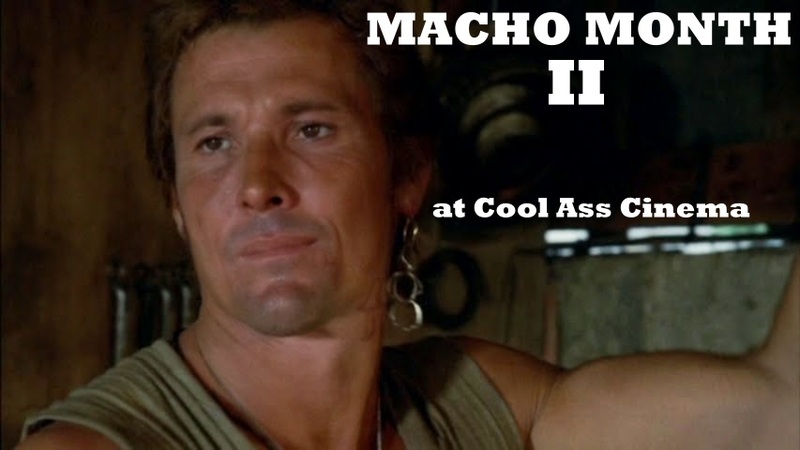 The first of which was a massive success and possessed an indelibly memorable ad campaign. 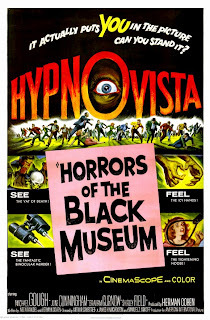 The poster sums up the movie exquisitely both capturing the gripping horror of the plot while providing breathtaking depth and making ingenious use of the blackened "wasted space". Corman's box office bonanza was a key film in reinvigorating the US produced Gothic horror feature that had previously been taken to new heights by Hammer Films of Great Britain and recent upstart Mario Bava from Italy. 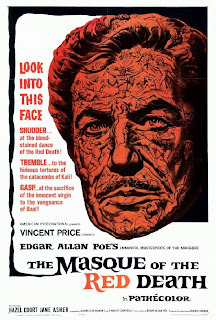 While the posters for Price's Poe pictures frequently featured a spooky castle and an intended victim of some gruesome, torturous demise, they also would get a lot of mileage out of Price's visage, too. 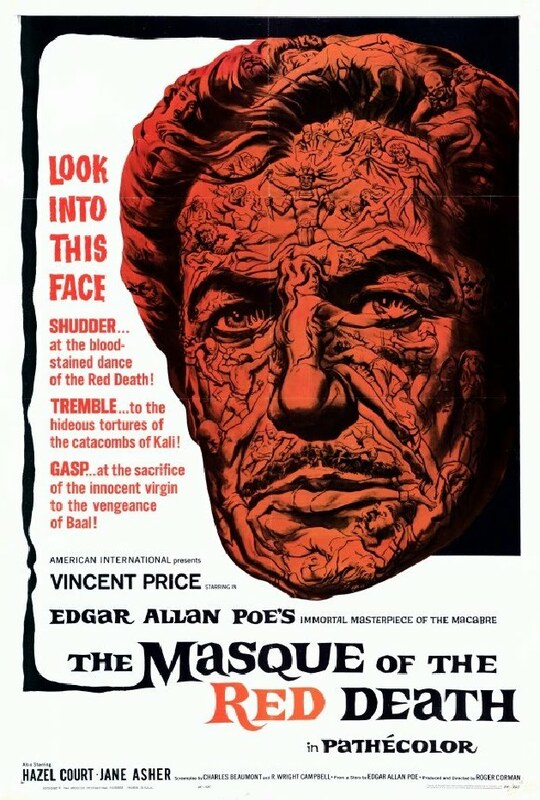 The culmination of this would have to be the artwork for THE MASQUE OF THE RED DEATH (1964). The many tortures of hell populate a reddish hued image of Price as Prospero in what many consider the ultimate interpretation of Poe on film. This poster is also a monumental piece of artistic vision and one of the best ever promotional endeavors for a horror production. For THE RAVEN (1963), this titanic, awe inspiring visual canvas is an example of creative clutter at its fright filled finest. 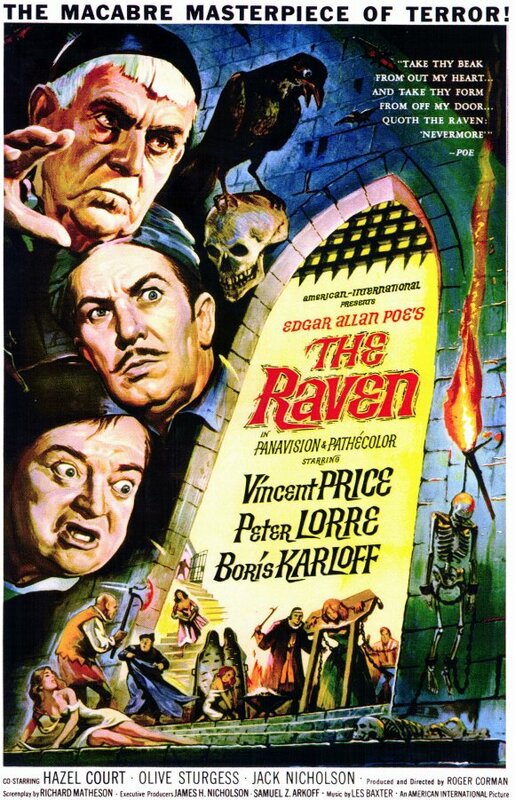 You not only have Price, but the participation of Boris Karloff and Peter Lorre made for a formidable terror triumvirate. This poster conjures the playfully ghoulish spirit of Corman's delightful, madcap movie with just the right amount of horror. 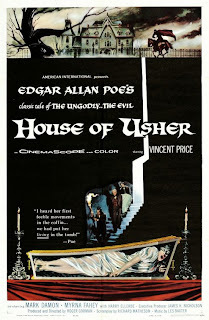 It's all of Corman's Poe ingredients perfectly realized and this poster is the embodiment of those elements. 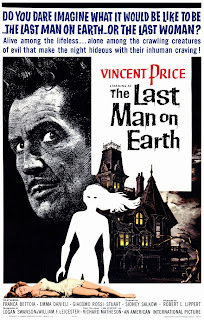 The posters for Price pictures usually always contained lurid imagery of horror promising lots of spook-worthy moments. Such is the case with THE HAUNTED PALACE (1963). The presence of Price isn't as prominent as on other AIP-Corman atmospheric horrors, but the element of terror and dread is in full abundance on this striking design. This poster, too, is yet another example of shrouding the truth within the painstaking details of an artists brush. 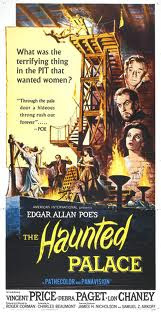 The poster claims this is a Poe adaptation, but the film itself is taken from an H.P. Lovecraft story. The Poe connection comes from one of the Bard's poems. AIP apparently felt Lovecraft wasn't a known commodity on the level of Poe considering the moneymaking ventures the company had enjoyed from the authors work up to that point. 1968's WITCHFINDER GENERAL was a horror picture of the transitionary sort when horror was beginning to embrace a more serious, gore addled tone than in the years before. It being a co-production between Tigon and AIP, the ad campaign for the United States strangely downsized the prominence of Price that was seen on the British ads opting to ballyhoo a more frightening image of a rotting head while witches burn at the stake in the background. Note the 'M' rating which soon became GP than finally PG. 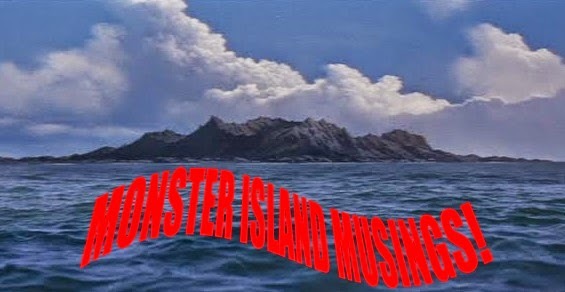 The British promotion links the film with its title character going for a more realistic approach inferring the savagery of the films contents. 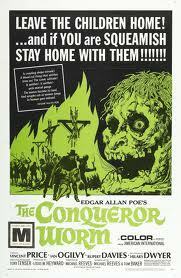 The US publicity, on the other hand, abandons the historical aspects of the UK design and attempts to link the film with Poe, this time in relation to his poem, 'The Conqueror Worm'. In its promotion, the exploitation of the subject matter is increased embracing the horror connotations that AIP had been barkering since the early part of the decade. PART 4 SOON ON THIS SCREEN.....!! !